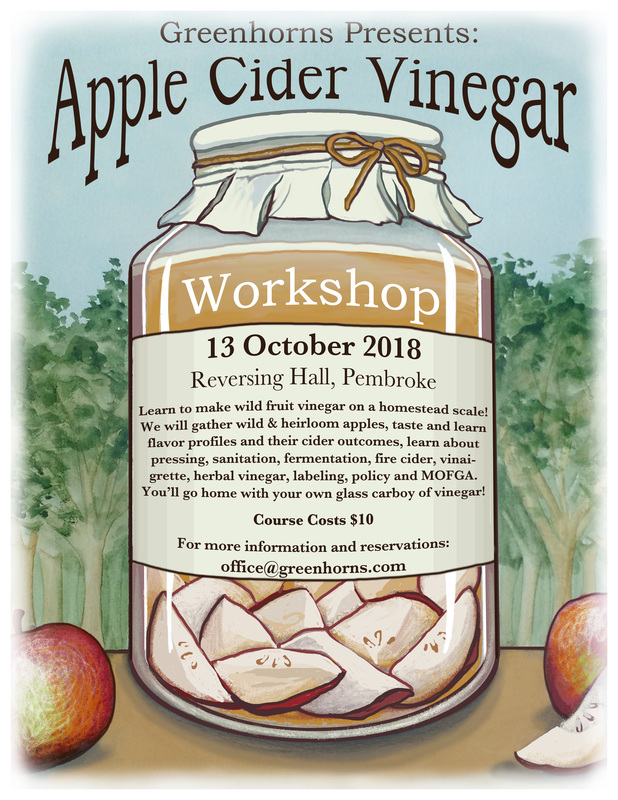 Join us for a half day session where we will be learning how to make apple cider vinegar on a homestead scale! Learning how to make ACV for your own use. We’ll be Gathering wild and heirloom apples which we will then turn into vinegar. We will be tasting various varieties of apples and learning how the different flavor profiles in the fruit impact the flavor outcome in the cider. We will use this info to generate a ‘data sheet’ on the prolific wild and cultivated trees in the area. Learning the best means for pressing apples, as well as the essentials of sanitation practices and other relevant rules. We will learn the basics of fermentation. Both materials and space will be provided and you will end up with your own carboy of vinegar. We will go through the production methods for producing fire cider, vinaigrette, herbal vinegar and other value added products. Other considerations such as labels, sales rules, MOFGA regulations etc will also be covered.